Show Times on DV Radio: Every Other Sunday at 2000 (8PM) EST. The Service Dog Show is hosted by Joaquin Juatai whose mission is to educate those that may already have or may be looking into getting/needing a Service Dog. From the current laws that do affect Veterans to those myths that are easily believable - Joaquin wants to make sure you are ready before going into the public. Author, photographer, and Service Dog advocate Joaquin Juatai is a 15-year Veteran of the United States Navy. During his Service as a Navy Journalist, Juatai's accolades include being named the Department of the Navy's Print Journalist of the Year for 2002. Juatai's experience writing and editing for command newspapers, and producing video and radio for shipboard commands, lead naturally to his transition to author. 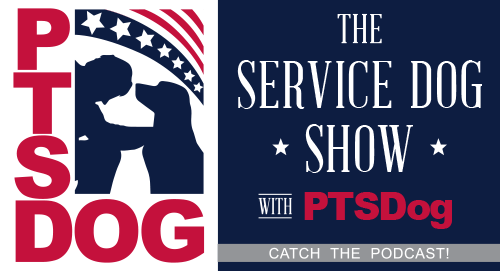 The PTSDog show and community is to help support those that aren't update-to-date on the current federal laws as well as helping to publish Joaquin's book, PTSDog: Post Traumatic Stress Disorder and the Service Dog.